AddressThe address for this sale in Dothan, AL 36301 will be available after 9:00am on Thursday, May 30th, 2019. **Be sure to click on VIEW COMPANY DETAILS to see our other sales. We service the tri-state area of Alabama, Georgia and Florida. Some sales will not be listed on the ENTERPRISE OR DOTHAN sale page, as they are farther away, and may be listed under another city. Cash or debit/credit cards only!! No checks!! Anyone paying via credit/debit card must show current state issued identification, also card must be in YOUR name!! Doors open at 8 am sharp (CENTRAL TIME ZONE!!). ABSOLUTELY NO EARLY SALES! Sales tax will be charged on all items purchased unless you provide us with a copy of your CURRENT resale tax exemption number (NO EXCEPTIONS!!). Not responsible for accidents. All children MUST be supervised at all times or you will be asked to leave the sale. You are responsible for packing and loading of the items that you purchase. We have a limited quantity of boxes/paper, so bring your own supplies if you have them. Discounts on the second day! 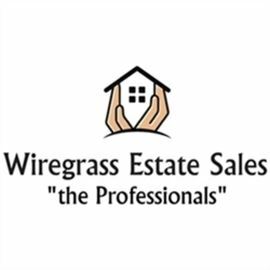 Wiregrass Estate Sales is honored to have been chosen to liquidate this lovely estate in Stonebridge in Dothan. The owners have decided to downsize to a much smaller retirement home, and can't take it all with them!! House is full of furniture, antiques, tools, decor and much more!! More details and photos coming soon!! !